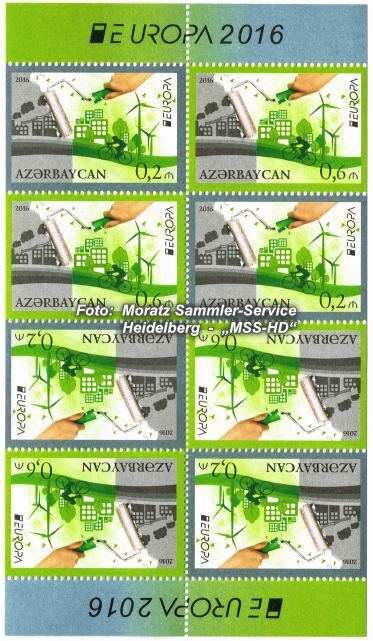 Azerbaijan: EUROPA CEPT 2016 "Think green"
Complete booklet sheetlet, se-tenant with tête-bêche. Catalogue numbers: MICHEL ? D (4 x). Total number of copies: 5,000 booklet sheetlets. "Ecology in Europe - Think Green“. Condition: perfect, MNH (Mint Not Hinged) = **, Authenticity warranty.